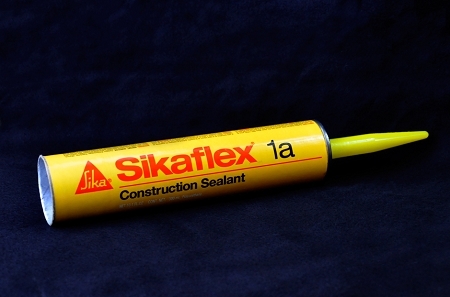 Sikaflex-1a is a premium-grade, high-performance, moisture-cured, 1-component, polyurethane-based, non-sag elastomeric sealant. Meets Federal specification TT-S-00230C, Type II, Class A. Meets ASTM C-920, Type S, Grade NS, Class 35, use T, NT, O, M, G, I; Canadian standard CAN/CGSB 19.13-M87. We usually recommend using about 1.5 tubes per 1 (10 foot) zinc sheet.